Expertise and affordability in a variety of orthodontic treatments. We are a teaching clinic located on the campus of Jacksonville University. We pride ourselves on providing our patients with the highest quality care at affordable prices. As a teaching institution, we have direct access to state-of-the-art equipment, making us one of the most technologically advanced facilities in the Southeast. Our prices are about 30 percent less than many commercial practices. We also accept most insurance carriers and have a variety of payment plans for your convenience. Our certified dentists work under the supervision of experienced faculty orthodontists to develop and implement customized treatment plans. We have scheduling down to a science to keep wait times to a minimum. We also provide regular and extended hours each week and have ample, free parking available. Whether you want the durability of traditional braces or the discretion of Invisalign braces, we have the perfect option for you. Orthodontic treatment is a commitment, so we offer a free consultation to equip you with all the information you need to make the best decision for you. We offer many options to help you pursue orthodontic treatment that fits into your lifestyle and budget. 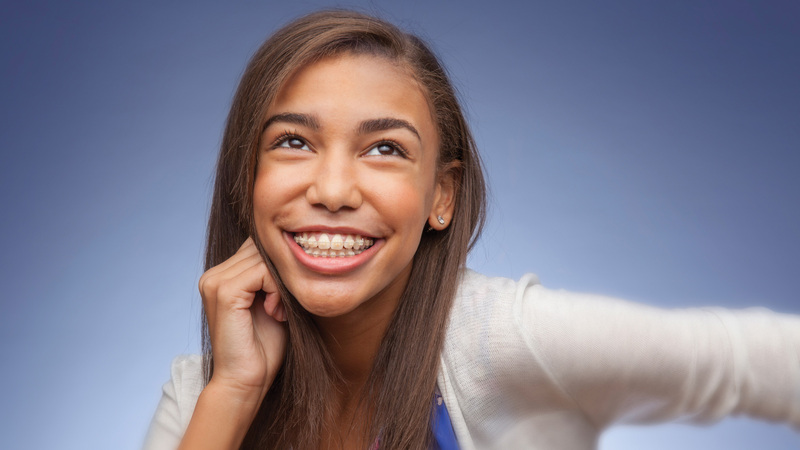 Ceramic braces are what most people think of as “clear braces.” They function the same way as traditional metal braces, but offer a cosmetic alternative to the metal. Incognito braces, also known as lingual braces, are another way to straighten teeth without visible brackets and wires. These braces go on the back side of your teeth. Self-ligating braces use a metal “door” to hold the wire in place. A sliding and clipping system in these doors holds the wire in place. This system reduces the pressure on your teeth and can make treatment more efficient. Invisalign technology consists of customized aligner trays made of smooth, comfortable, clear plastic that you wear over your teeth. When I met with the staff, their caring attitude and concern changed my mind. And the price for treatment was great! My daughter and I have not been disappointed yet. JU always returns my calls, I never have to wait for my appointment any longer than a few minutes, and each and every doctor has been professional, kind, and caring. I love it! At the age of 50, braces were not on my radar screen but after sitting in the examining chair and having the process thoroughly explained to me, I knew it would be in my best interests to proceed. My doctor made me feel extremely comfortable and I could tell that patient care was on the top of his priority list. My daughter completed her treatment at JU last year with fantastic results! Now my 13-year-old son is going to be getting his braces there in the very near future, and all at about half the cost of community orthodontists.